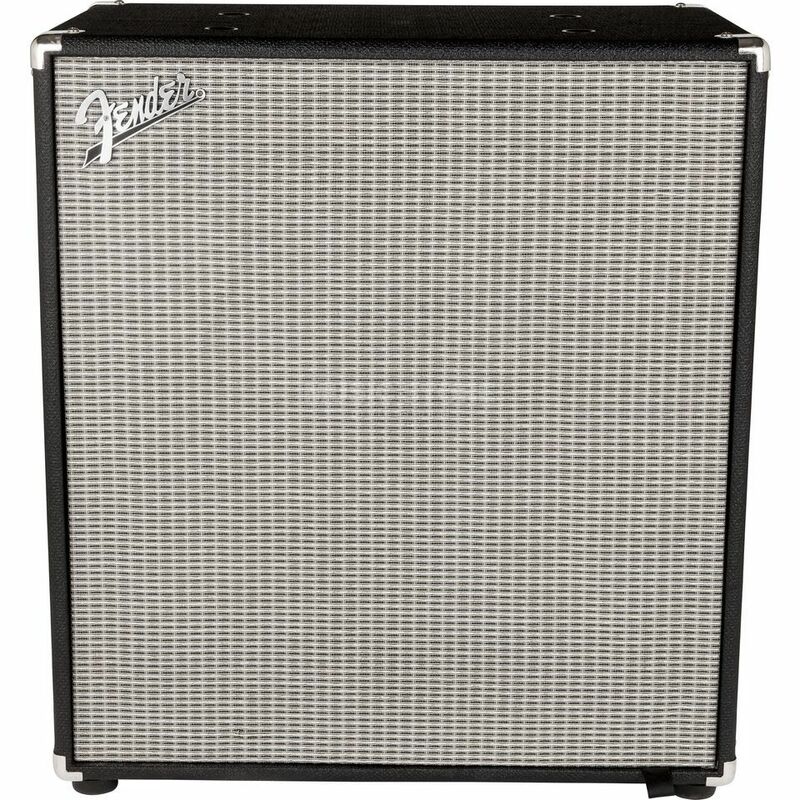 The Fender Rumble 410 Bass Cabinet derives from the recently evolved Fender ‘Rumble’ Series and armed with some genuine power and performance into a lightweight 4x10” speaker cab. The Rumble series speaker cabinets have undergone precise re-voicing allowing the Rumble 410 the ability to produce a remarkable level of sonic detail and low-frequency translation through its 4 Eminence speakers. With 1000 Watts (program) and 500 watts continuous handling capability and only weighing in at 28.35kg, it is easy to feel and hear where the weighty shift has occurred and to such a great advantage! Equipped with two recessed steel bar handles, pop out casters and Fender’s patented Magnetic Rumble-Head-Attachment system, the Rumble 410 bass cabinet is a true gigging-bass player’s friend!